New evidence suggests that Apple is once again hiding behind a shell corporation as it seeks ownership of a new trademark— in this case, for an anticipated product named "AirPods," which could be the name for a new set of Bluetooth wireless earbuds. 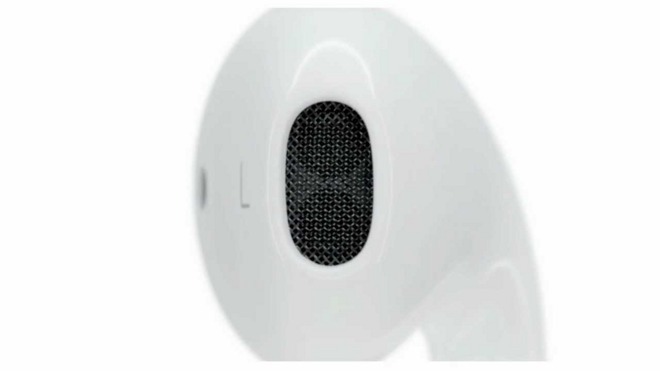 Earlier this month, Delaware company Entertainment in Flight, LLC, filed for an amendment to its existing "AirPods" trademark filing. A manager for the company who signed off on the revision was discovered by MacRumors to share the same name as a "Senior Standards Counsel" employee at Apple. 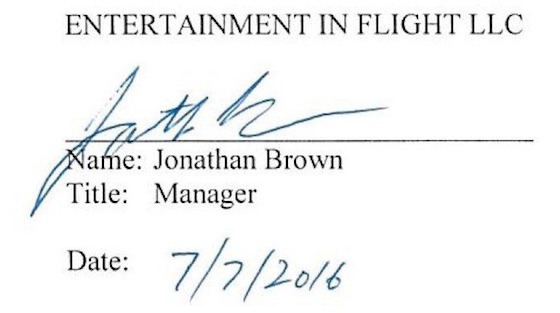 Adding to evidence that Entertainment in Flight manager Jonathan Brown is also an Apple attorney, it was discovered that the signature on the 2016 trademark filing matches closely to one found in 2010 litigation involving Rambus. As revealed on Brown's LinkedIn page, the Apple attorney previously worked as "Senior Litigation Counsel" at Rambus. The new revision, amending the original application from last year, changed the term "audio components and accessories" to read "cases, charging cases... for use with all of the aforesaid goods." The revisions both widen the scope of the trademark, and make it more specific about what the application covers. Given the similarity between the two signatures, and Brown still being in the employ of Apple, a connection between Entertainment in Flight and Apple appears to have been drawn —signaling that the "AirPods" name could be Apple's property. Of course, Apple's tactic of using a shell company like Entertainment in Flight to hide product intentions isn't new. For example, in 2009, Apple registered the acronym IPAD under British dummy corporation "IP Application Development" (IPAD Ltd). And last year AppleInsider found strong connections between Apple and a mysterious market research company called SixtyEight Research, believed to be acting as a cover for development of a rumored Apple electric vehicle. Entertainment in Flight, LLC, filed the trademark application for the term "AIRPODS," and several variant spellings in Jamaica in May of 2015. The company designated the mark under International Trademark Class 9, a category spanning a wide range of electronic goods. July's terminology revision does not alter the class of the trademark application. Rumors have circulated since the patent application that the brand "AirPods" will apply to new Apple-developed Bluetooth headphones. They are said to charge wirelessly, and not have a cable connecting the earpieces as is common with most Bluetooth earbuds —for example, the existing wireless Powerbeats2 Bluetooth earbuds have a connecting wire between the earpieces. The speculated AirPods would logically debut in the fall, alongside the reveal of the company's next-generation "iPhone 7," which is said to omit a 3.5-millimeter headphone jack. Wired Lightning EarPods are expected to ship with any new iPhone lacking a headphone jack, so wireless "AirPods" would likely be an optional accessory. The trademark application does not absolutely confirm that Apple has a product that it intends to release. Trademark applications require use of a term before six months have elapsed after the initial award, but this window can be extended for an additional two and a half years with repeated extension requests. Like patents, Apple files for a great deal of trademarks publicly that never see release. Similarly, the company also files for similar names to released products for enhanced legal protection. At this time, there do not appear to be any more trademarks or patent applications ascribed to Entertainment in Flight, LLC.